The election of Robert Hurley marked the first time that Connecticut placed a Catholic into the office of governor. It had taken just over 300 years for the state’s political process to move to the point where it would accept a non-Protestant for this position. Robert Augustine Hurley was born August 25, 1895 in Bridgeport, Connecticut, the son of Robert Emmit Hurley and Sabina (O’Hara) Hurley. His father, Robert E., operated a construction business in town. As a young man, Robert A. attended the Cheshire Academy. He graduated in 1915 and went on to study engineering at Lehigh University, where he was a top athlete. In 1914, World War I began in Europe. The United States at first viewed the conflict as a foreign matter, but by 1917, the country could no longer remain neutral. On April 6, 1917, the United States Congress officially declared war on Germany. The US entry into the war interrupted Hurley’s college studies. He enlisted in the United States Navy on August 3, 1917. After Basic Training at the Naval Training Station in Newport, Rhode Island, he went to radio school in Cambridge, Massachusetts and later attended submarine school in New London. He served aboard several ships including the USS Pennsylvania and the USS Chicagobefore being discharged on December 17, 1918. After the war, he played professional football and semi-professional baseball before working with his father in the construction and engineering business. He also started his own contracting business, Leverty and Hurley, in Bridgeport. Hurley married Evelyn Hedberg January 22, 1925 at St. Augustine’s church in Bridgeport. Evelyn had also grown up in the “Park City.” She graduated from the Bridgeport Hospital School of Nursing and was a registered nurse. They had three children. In 1935, Hurley was named director of Fairfield County’s Works Progress Administration (WPA). During the 1936 Flood, he was named a special representative of the federal government, coordinating relief activities between Hartford and the federal government. Also in 1936, he served as the WPA Coordinator for the state. In 1937, Governor Wilbur L. Cross appointed Hurley as Connecticut’s first Public Works Commissioner. This new department was created to oversee “real assets owned by the state.” Many believed that this included road planning, construction, and repairs. Others, including the Commissioner of the State Highway Department, John A. MacDonald, felt this was not the case. To complicate matters, construction of the Merritt Parkway was ongoing at this time. Rumors of land purchasing schemes by real estate agents employed by the State Highway Department led Governor Cross to assign Hurley to investigate the agency. On January 6, 1938, Hurley submitted a report to Governor Cross that detailed his findings on the investigation. The document severely criticized both the agency as a whole and Commissioner MacDonald in particular. Governor Cross wrote in his autobiography that “No good word was said about anybody or anything. Even the beautiful Merritt Parkway was ill designed, ill constructed, and destined to become a dangerous road for travelers to ride over.” On February 28, 1938, MacDonald submitted a rebuttal report to Governor Cross that focused on Hurley’s “crudely deceptive and cruelly destructive” allegations toward him and the State Highway Department. A Grand Jury was convened in Fairfield County to investigate the matter of land purchasing, and on April 28, 1938, it issued a final report denouncing the purchases and calling for the resignation of Commissioner MacDonald. Despite the controversy, the first 17.5 miles of the Merritt Parkway officially opened on June 29, 1938. Hurley was among those who attended the opening ceremonies. Hurley used his record as Commissioner of Public Works to campaign for governor. He was a strong supporter of Franklin Roosevelt and an advocate of the New Deal. Hurley defeated former Governor Cross at the 1940 Democratic state convention and went on the defeat incumbent Republican governor, Raymond E. Baldwin, by 13,780 votes. During his one term as governor, he was able to introduce some reform programs to help both workers and the unemployed. He also helped Connecticut’s rural areas receive electricity. As the United States became more involved with World War II, Hurley pushed the state to be prepared for the conflict even though this was done at the expense of New Deal programs. 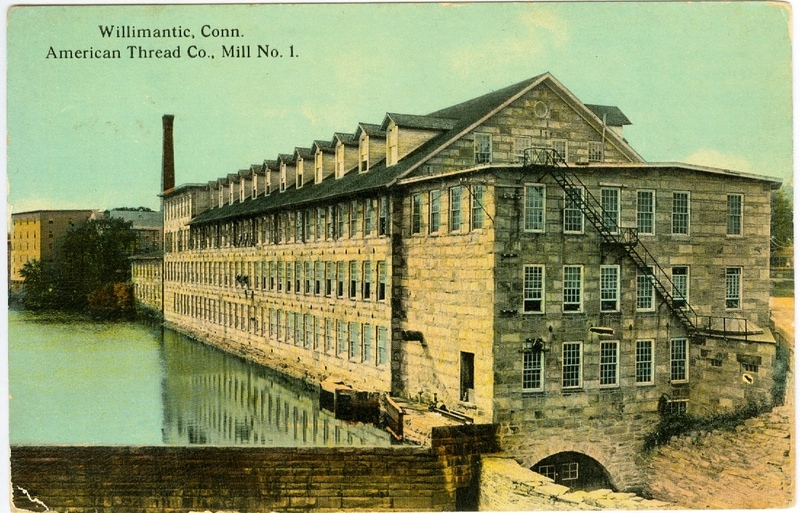 As a War Governor, he secured “Connecticut’s Compact for Victory.” In it, he pledged “All of the industrial might and resources of Connecticut, the full production capacities of our plants, the skills and energies of our workers” to the service of the United States. The Compact also outlined Hurley’s agreement with both organized labor and manufacturers to send grievances to him, or arbitrators appointed by him, so strikes would not occur. However, production problems at home and the rationing of consumer products led some voters to disapprove of his administration. Yet, most of the people in Connecticut were employed and prosperity had been realized. Hurley sought to be reelected in 1942, but he lost to former governor Raymond E. Baldwin by 26,196 votes. Shortly after he took office, Governor Baldwin succeeded in abolishing the State Department of Public Works, the agency of which Hurley was formerly in charge. It would not be until after World War II that the Department of Public Works would be reestablished. In 1944, Hurley once more won his party’s nomination but again lost to Baldwin, by 25,773 votes. He then retired from politics, and this allowed the Democratic Party, which had split into factions, to become unified two years later under its new party chairman, John Bailey. 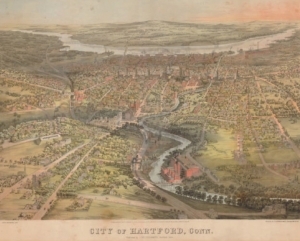 Hurley became an officer in a company in Rhode Island, but he lived in West Hartford for thirty years. He died on May 3, 1968. He is buried in the Fairview Cemetery in West Hartford. His wife Evelyn passed away December 31, 1974. Their house still stands and is privately owned. Hurley Hall at the University of Connecticut is named for him. “Bridal Couple Will Sail Today for Bermuda Trip.” Bridgeport Telegram, January 23, 1925, p.15; digital images, Access Newspaper Archives(http://access.newspaperarchive.com/ : 17 April 2008). Congressional Quarterly’s Guide to United States Elections. Washington, DC: Congressional Quarterly, 1994 [CSL call number GIRS Ref JK 1967 .C662 1994]. Cross, Wilbur L. “Stormy Weather.” Chap. 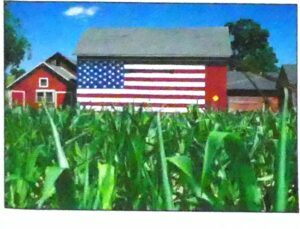 XXXVII in Connecticut Yankee: An Autobiography. New Haven: Yale University Press, 1943 [CSL call number F 100 .C7 A3 1943]. “Ex-Gov. Hurley of Connecticut. New Deal Democrat Dies – Spurred War Effort.” New York Times, May 4, 1968, p. 87; digital images, Historical New York Times 1857-Current File (http://www.proquest.com/ : 17 April 2008). “Former Governor Hurley Dies: First Roman Catholic to Serve.” Hartford Courant, May 5, 1968, p. 4B1; digital images, Historical Hartford Courant 1923-1984(http://www.proquest.com/ : 17 April 2008). Hurley, Robert A. Hurley Report on Highway Department and the Merritt Parkway to the Governor. Hartford: Department of Public Works, 1938 [CSL call number ConnDoc H533 hr].
. Connecticut’s Compact for Victory. Hartford: State of Connecticut, 1941 [CSL call number Broadside HC106.4 .C66 1941]. Johnson, Curtiss S. Raymond E. Baldwin: Connecticut Statesman. Chester, CT: Pequot Press, 1972 [CSL call number F100 .B3 J6]. MacDonald, John A. Report to His Excellency, Governor Wilbur L. Cross. Hartford: State Highway Department, 1938 [CSL call number ConnDoc H533m r]. “Mrs. Evelyn Hurley Dies; Widow of Ex-Governor.” Bridgeport Telegram, December 31, 1974, p.15; digital images, Access Newspaper Archives(http://access.newspaperarchive.com/ : 17 April 2008). Service Records: Connecticut Men and Women in the Armed Forces of the United States During World War 1917-1920. 3 vols. Hartford: Office of the Adjutant General, 1941? [CSL call number History Reference ConnDoc AD44 sr]. See vol.1, p. 258. State Archives Record Group 005:028, Office of the Governor, Robert A. Hurley, 1941-1943. Materials in the State Archives are subject to the Rules and Procedures for Researchers Using Archival Records and Secured Collections Materials. 48″ x 58″ in its frame, painted in 1942 by James G. McManus. Originally prepared by David O. White, Museum of Connecticut History, Connecticut State Library. Edited and revised by CSL Staff, April 2008.